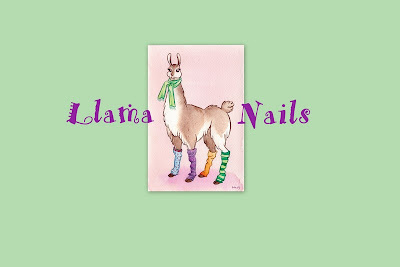 For starters I wanted to let you know that I have started a new group called Llama Nails on Facebook. 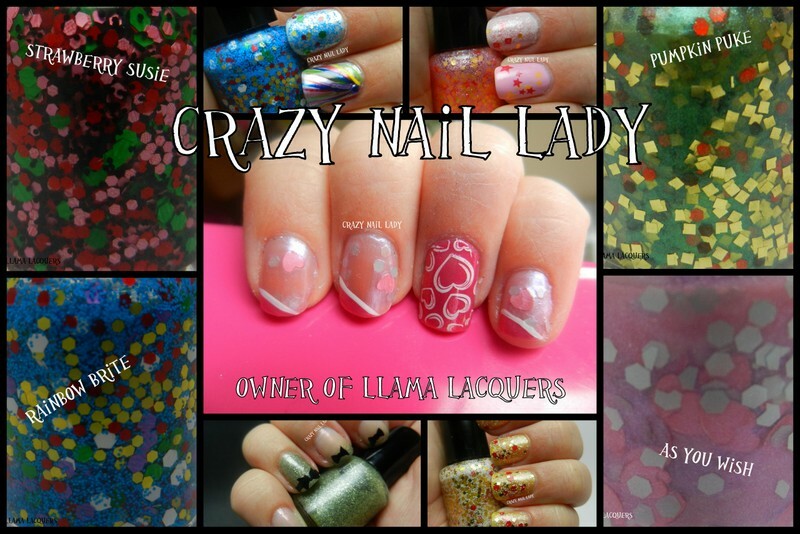 Courtney from the Cuticle Chronicles and myself will be the admins and we would love everyone to join in on the fun!! We will be doing manis on Wednesdays. 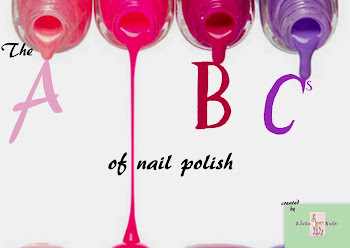 We have not set a starting date yet but we will be beginning with the ABC's of polish. Let me know if you want to join! We would love to have you :-) Just don't bring any drama......that's what the llama is for. We save the drama for the llama. This is our mascot....isn't she cute and you want to paint her nails?! I have created my first set of polishes all based on The Princess Bride. We are still in the experimenting phase, but I wanted to share with you what I have planned and what I have created thus far. I am pretty geeked if I do say so and so far my husband and neighbors have given me some thumbs up so I am feeling very confident. I would love to know what you think as well and if you would want to buy any of these. Let your friends know, tell your neighbors. Hey, tell your friends neighbors. Tell your Aunt Susie's cousins brothers wife. Just send them over and have them take a look. I apologize if the pictures aren't that great. I need to figure out how to photograph polish better. 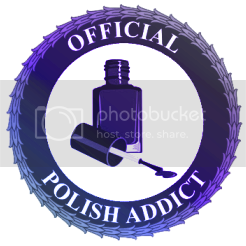 The first polish I made was called 'Hello, My name is Indigo'. (get it?) It didn't work out quite right, so I am in the process of tweaking it and making it perfect. No pictures of that yet. The second one is called Princess Buttercup. A yellow glitter polish with yellow flowers. The next polish is called As You Wish. A pink base shimmery base with matte pink hearts and turqouise hex glitter. As You Wish really means I love you. I chose the turquoise to represent Wesley's beautiful eyes that looks like the sea after a storm. Next, we have Iocane Powder. A white pearl base with irridescent fine glitter and burgundy bar glitter. My favorite scene in the movie. The red bar glitter is representative of the wine that Vizzini and the Man in Black drink during their battle of wits. Nothin beats the line. "Never go up against a Sicilian when death is on the line! HAHHAHAHA!" and then he dies. I think this would look great by itself or even over black. I also think this looks better with one coat instead of two. It almost is too thick with two. And last we have The Dread Pirate Roberts. Although I just came up with a catchier name as I was writing this....the Mani in Black. hehe. A black base with silvery black and black hex glitters. I love the way the mica used in this polish gives it an almost grainy look. It reminds me a bit of stone. This would be great over silver or grey. Well, I hope you are as excited as I am! I can't wait to get them up for sale and for people to try them out! Congrats on launching your own line! They look beautiful!! I can't find your group on Facebook?? Help! They look fabulous!! The Princess Bride is one of my husband's favorite movies. Aw, thanks! Laser disc....hilarious. 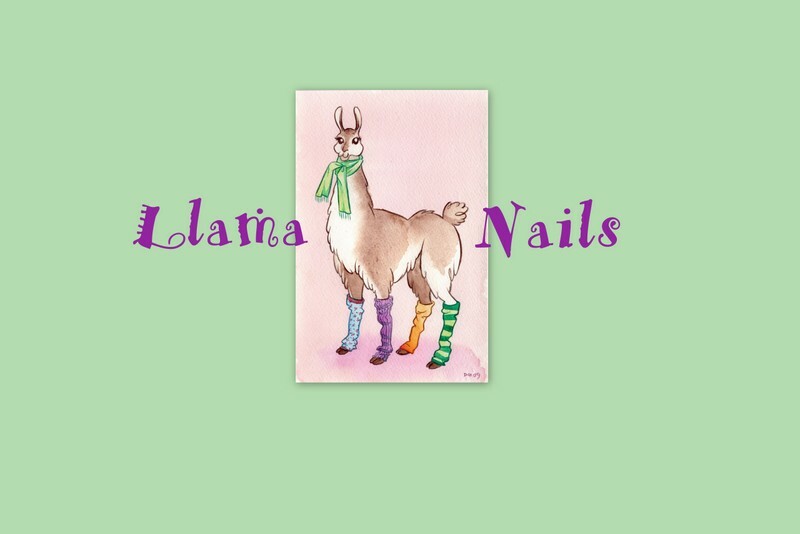 I loooove Llama Lacquers. You might just have something there!